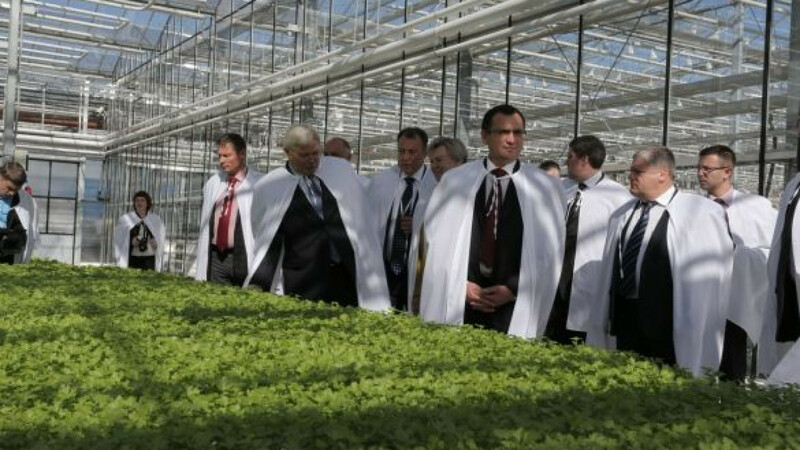 Agriculture Minister Fyodorov and dignitaries visiting a government-funded greenhouse in Tomsk on Monday. Agriculture Minister Nikolai Fyodorov is promising a further increase of government support to farming, the sector that took a major hit from the country's accession to the WTO last year. 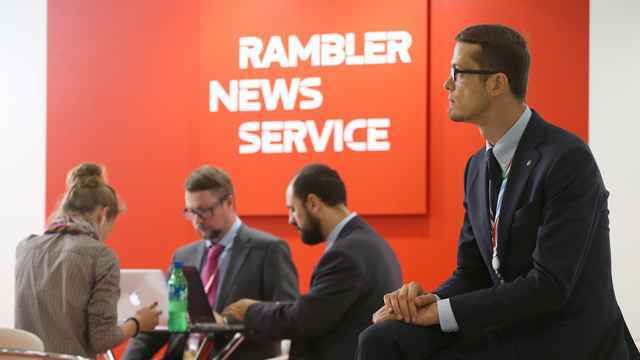 Fyodorov said Monday that the subsidies and other support would grow to 250 billion rubles ($7.6 billion) annually in the next few years, Interfax reported. 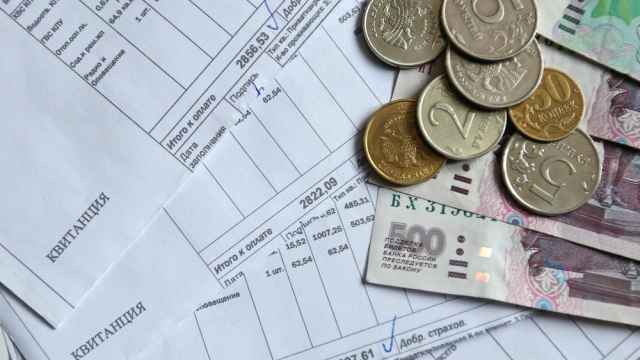 That compares with 179 billion rubles the government is allocating to farming businesses this year, a number that is about double the spending in the previous year, he said. Fyodorov made the comments on a trip to a greenhouse farm in the village of Trubachyovo in the Tomsk region, a facility whose construction drew funding almost entirely from the regional budget. News reports Monday have not identified the owner of the facility. The vow for bigger state funding could hit a snag, though. 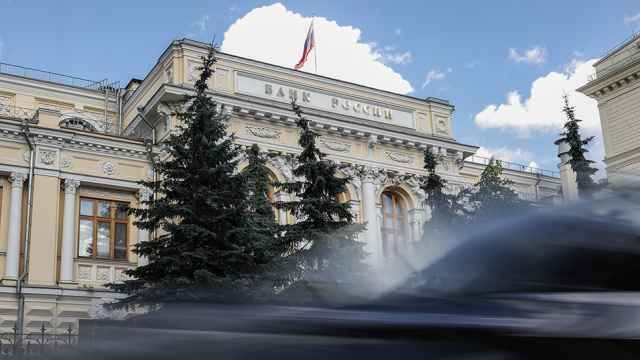 It comes days after President Vladimir Putin conceded that the government would have to tighten its belt amid a slowdown in the domestic economy. On the other hand, the Federation Council, which is the parliament's upper house, said earlier this month that it would seek to shepherd through bills increasing state subsidies to farming. Lower import duties implemented after Russia's entry to the WTO in August 2012 slashed revenues in the sector, especially for pork and dairy producers. The Agriculture Ministry on Monday estimated that the Far East flooding caused damages worth 8.2 billion rubles ($250 million) to the region's farming business. Crops covering 390,000 hectares were destroyed by the weeks of exposure to excessive humidity, it said. Farmers had insured just a fraction of the affected crops, the ministry said.